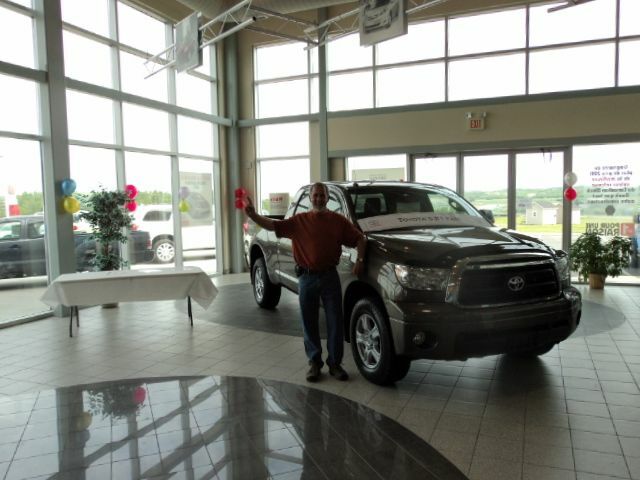 (TORONTO) – Michel Levesque of New Denmark, New Brunswick, bought his first Toyota, a Corona, in 1975 and loved it. Incredibly, over the next 35 years, he went on to own more than 40 Toyota vehicles of every model and description. 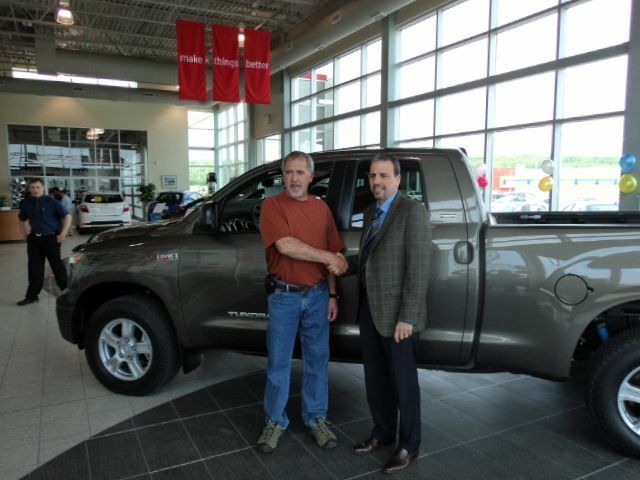 Today, Michel will add a 44th Toyota vehicle to the list of those he has owned, and it may be the most special of all: a brand new 2011 Toyota Tundra pick-up truck, which he has selected as his grand prize for being named Toyota’s #1 Fan. Michel’s story, spanning decades and dozens of Toyota vehicles, touched fans across the country. He earned more than 4,300 public online votes in the final phase of the contest – greater than 43 per cent of all votes cast – while also earning top marks from a panel of independent judges. 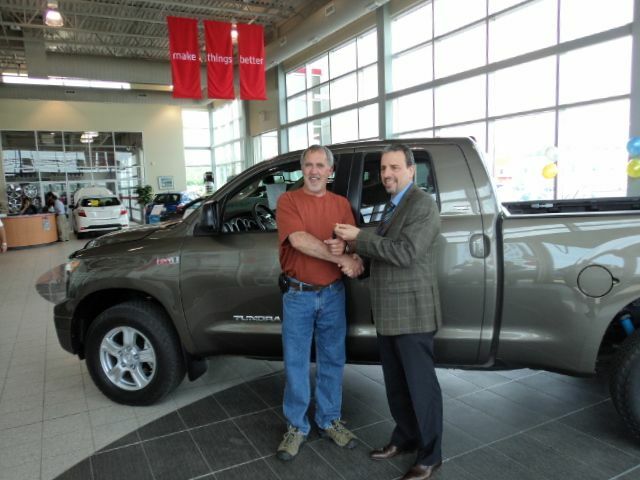 As the grand prize winner, Michel won a Toyota vehicle of his choice (up to $50,000 value) – and, of course, official bragging rights to the title of Toyota’s #1 Fan. To launch its social media campaign, Toyota asked Canadians “Who is Toyota’s #1 fan?”. Canadians could enter the contest on the official Toyota Canada Facebook page by posting a one minute video or five photos and a story. From over 1,500 eligible online entries, Michel and five other entrants were selected as finalists. Short videos were prepared to tell the stories of all six finalists and Canadians were invited to vote for their choice. Thousands of people from coast to coast viewed the videos and voted throughToyotaCanada’s new Facebook page and enhanced twitter feed. 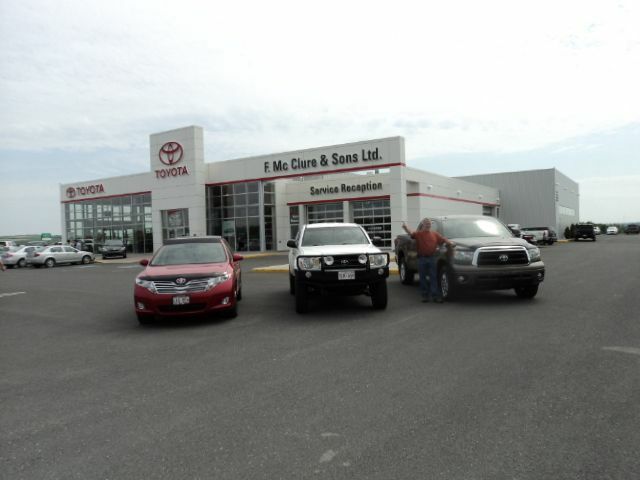 L to R: Michel Levesque and Pat Dupuis, Atlantic Zone Manager, Toyota Canada Inc.